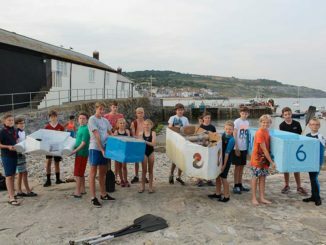 MEMBERS of the 1st Lym Valley Scout Group took part in an expedition last weekend as part of their ‘Outdoors’ challenge. 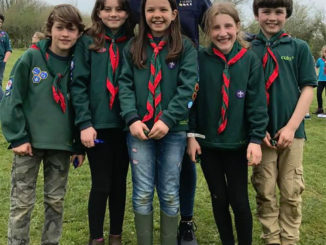 Independently of leaders, they traveled from Uplyme Scout Hut to Sid Vale’s campsite, just outside of Salcombe Regis, by foot and by bus. 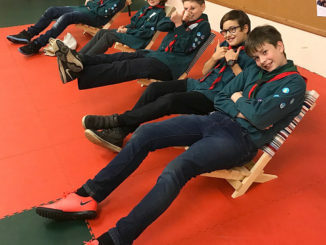 Having arrived at the campsite in the good weather, despite heavy rain the night before, the 14 Scouts set up camp and tried their hand at a range of activities including axe skills, cooking, archery, pioneering and a night time walk during the course of the weekend. Scout leader Bruce Kahn said: “It was great to see the older Scouts lead this camp. They really encouraged the younger ones and got the best out of them. 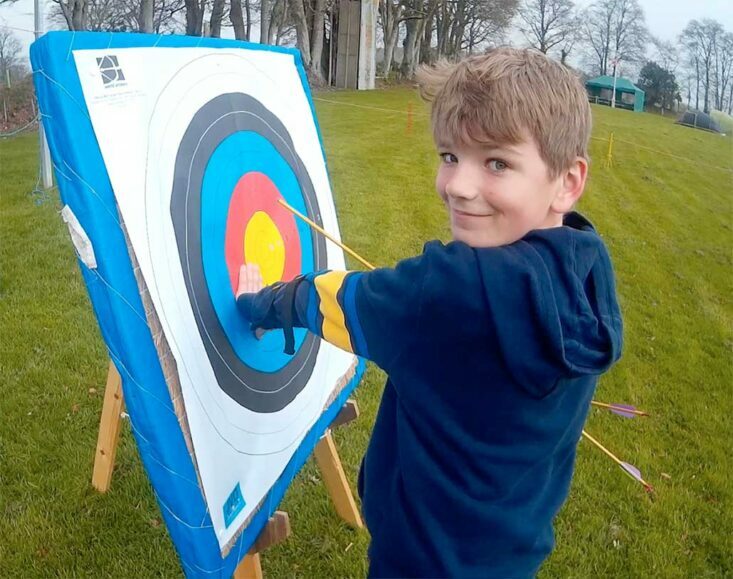 Scouts being independent, gaining leadership skills, having fun – it’s what it’s all about! THE 1st Lyme Valley Scout Group celebrated St George’s Day with a difference this year.